I grew up as a farmer's daughter and it makes me proud to have a nephew who continues with and is greatly expanding his own family farming business. He has two lovely daughters who like me when I was small, love having farm pets. 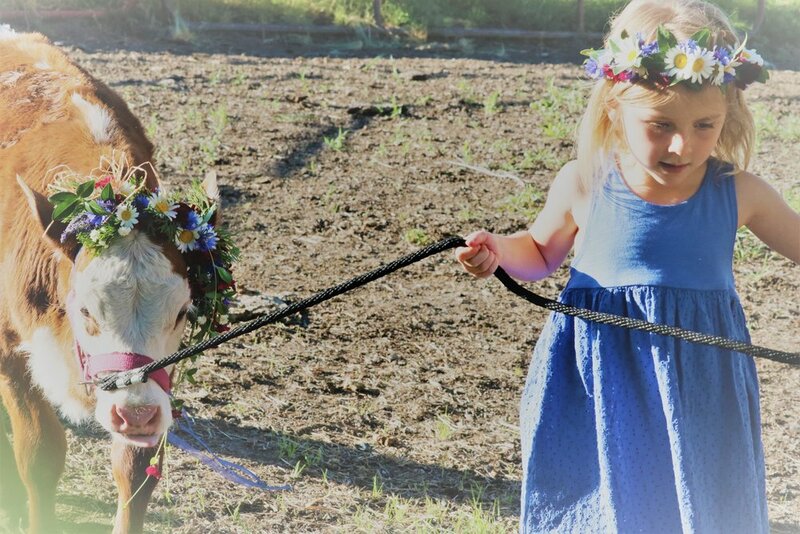 Fluffy is their pet calf and I thought it would be fun for the girls to do a little photo shoot with Fluffy and some simple flower crowns. To be honest, fun for me as well! 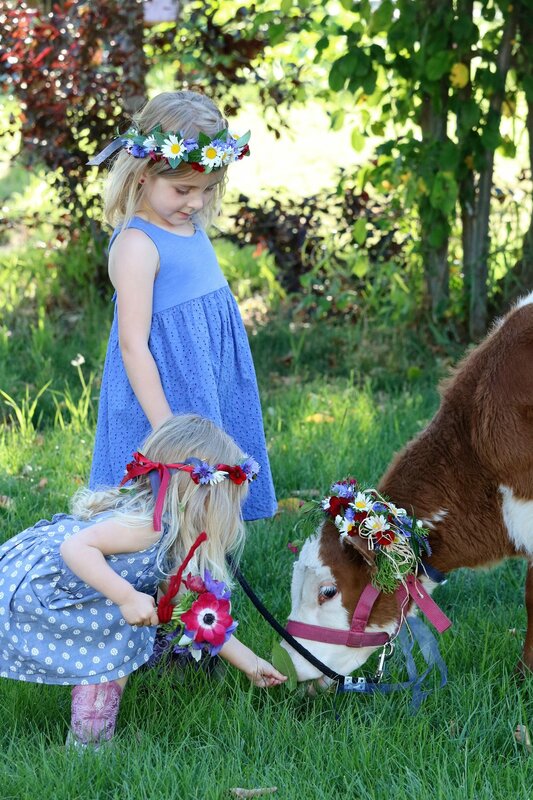 Flowers add such a sweet extra touch to all occasions even to a calf feeding and halter leading. Capturing the interactions between children and animals with a little added touch of Mother Nature's floral is beautiful. It doesn't need to be formal and fancy a few blossoms from your garden, the road side and a potted petunia made a lovely little crown. I choose red, white and blue since Independence Day is next week as my color theme. Even though Fluffy wanted to shake hers off and would rather eat the flowers than wear them we were able to snap some precious photos for them to enjoy. Next time you're going to be taking photos consider adding in flowers, they really will bring out a little something extra special in them.